Thelma Jo-ann Elliott Cooper was born September 20, 1945 in Greenville, North Carolina to her parents, Elmond Arshtees and Thelma Snow Lang Elliott and a six year old sister, Joy Selena. She was born at home at 8:00pm. She left this life August 13, 2018. At the age of 3, her family moved to Bethel, North Carolina where her father was principal of the only African American school and her mother taught English and French. She grew up in Bethel surrounded by a loving supportive family. Jo-ann loved children and became a free babysitter for friends and family. She was mischievous, very friendly and fun loving as she grew up and fraternized with townspeople from all walks of life. She started working during the summer months at the age of 12 in green tobacco. Against her parents advice, she decided to try her hand at picking cotton. She lasted one day, ate her lunch before 10:00am and even with the help of her friends, didn’t pick enough cotton to weigh at the end of the day. She received her education in the public schools of Pitt County North Carolina under the watchful eye of her parents and sister. Her mother was a great orator. Her sister excelled in Dramatics. They passed these talents on to Jo-ann who won State Wide competitions in Debating and Dramatics. Her love of poetry and public speaking remained important to her all of her life. She graduated Valedictorian in 1962. She continued her education at A&T State University in Greensboro (following her father’s footsteps), majoring in Nursery School and Kindergarten Education. She participated in many college activities. She was most proud of serving as president of the women’s Council and The Kappa Epsilon Society which provided stuffed animals and visits to children in local hospitals. She was the first voice heard on the schools’ radio station, WANT and worked as a disc jockey for the nightly jazz program. She was the first student to work as a full time resident counselor in a women’s residence hall. She was inducted into “Who’s Who Among Students in Colleges and Universities” in her Senior year. After College graduation, Jo-ann moved to New York with her sister and started her career in Early Childhood Education as a teacher in the Head Start Program. She had spent Summer vacations in New York and worked in this brand new federally funded program for low income families with young children as a storyteller in Harlem. This program became not only her life long career but her passion. With every move for the remainder of her life, she sought out this program for full time employment. She often worked two jobs requiring a variety of skills including, counselor at a children’s shelter, driving instructor, receptionist, selling satellite TV systems and telemarketing but she always found her greatest satisfaction in Head Start. Her interests and energy were quickly recognized by her supervisors and she quickly became an education supervisor while continuing to teach in the Bedford Stuyvesant Youth In-Action Head Start Program in Brooklyn, New York. Jo-ann later moved to Baltimore, Maryland and again sought employment in the Head Start Program. She was hired by the Baltimore City Headstart program as Healthstart Coordinator in the Cherry Hill Community. She later became the Education Coordinator and then Director of The Martin Luther King, Jr. Parent and Child Center, her all time favorite position, working not only with infants, toddlers and their parents but training community residents to become professional child care workers. She left Head Start for two years and became Director of The Social Security Infant and Toddler Program in Woodlawn, Maryland. 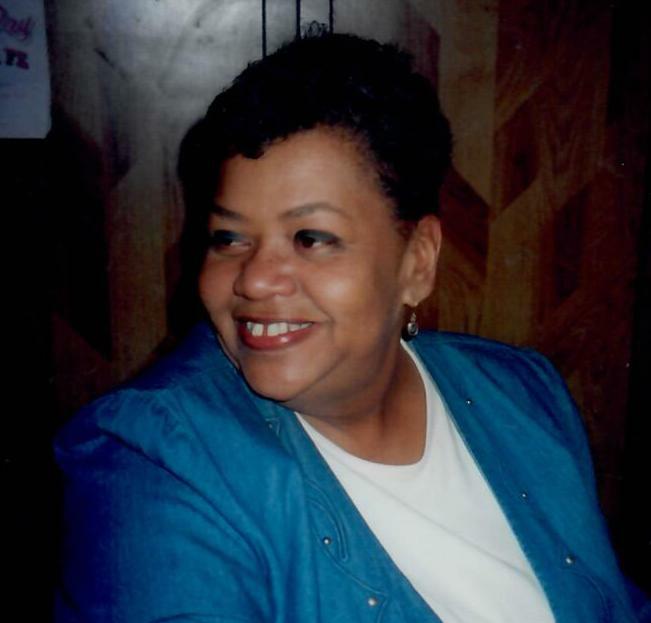 Her last full time position was as director of The YMCA Baltimore County Head Start Program.After retirement, she worked as telemarketer for Slomin’s Home Security. On, September 10, 1979, She was known to say she started the most important relationship in her life. She adopted her daughter, Selena Joy. She absolutely adored her daughter and they were inseparable. Her friends and associates often would remark, “here comes Jo-ann and her baby”. She said she didn’t know what real love was until she became a parent. In August 1981, while volunteering at the AFRAM Festival, she met Wilbur (Butch) Cooper. They fell in love and became lifelong soulmates. He proposed first to Selena, (who had quickly become the apple of his eye), and then to Jo-ann. They were married 13 months later, on September 5, 1982 in Central Islip, New York. They were known as the AFRAM couple. They were also known to be fun loving high spirited couple who were supportive and devoted to each other and their daughter. They were also a high energy couple. During one period of their marriage, Butch was in the Baltimore City Police Academy, Jo-ann was working on her Masters Degree (which she received from The University of Maryland at College Park). While working full time in Head Start and they owned a janitorial business, she would jokingly say they had not decided what they wanted to be when they grew up. Jo-ann left her mark wherever she worked with her commitment to excellence, high energy and a willingness to work long hours. She had a way of not just raising standards but giving a soul to programs by showing genuine concern not only for the children but for parents and staff as well. In her work and personal life, she remarked that her mission in life was feeding people. She was an excellent cook and enjoyed cooking. She was known to feed anybody who let her know they wanted a meal whether she invited you into her home or delivered it to your door. As a Head Start Director, she would put on an apron and cook for hundreds. In her personal life, she loved to give dinner parties and almost every week she prepared at least one meal for someone in her family, her friends or neighbors. Butch was a patient, protective, loving husband willingly committed to caring for her when she lost her mobility and became ill.
She leaves to cherish her memory; her husband, Wilbur L. Cooper; her daughter, Selena Joy Cooper; her sister, Joy Elliott Artis of Cedar Hill Texas; her mother in-law (deceased); Mildred Bass, a very very dear nephew, Lang Elliott; brother in-law, Gene Cooper, Leonard Cooper, Dennis Cooper (deceased) George Grandy, Keith Harris; sister in-law, Cheryl Harris, Andrea Williams, Deborah Cooper, Laurie; special friends, Pattie Hines, Barbara Smith, Anna Byrd Jones, Clacy Gilbert and a host of nieces, nephews, relatives and friends.